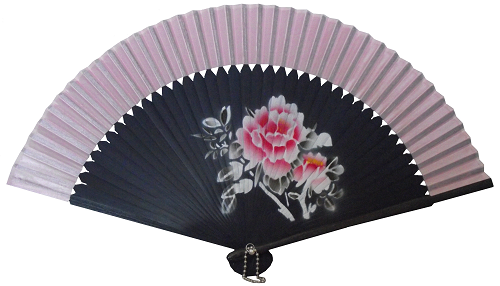 Pink hand held Chinese fans with decorative natural bamboo fretwork. 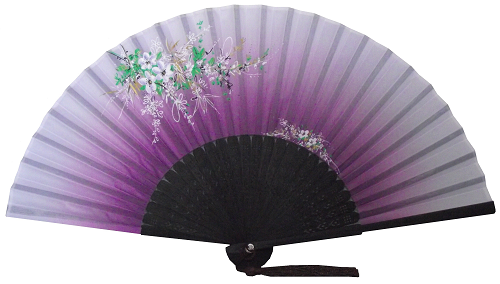 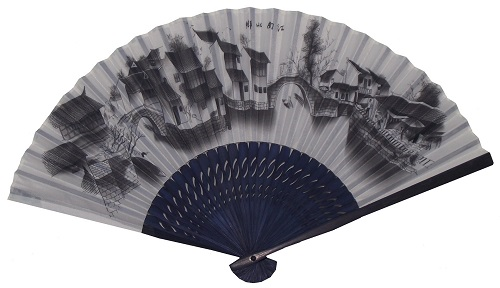 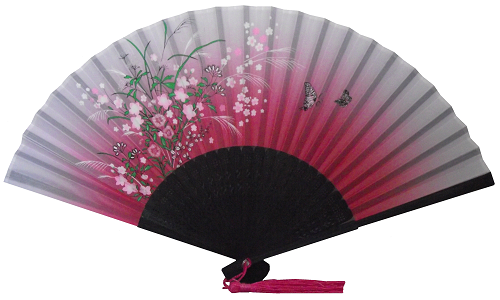 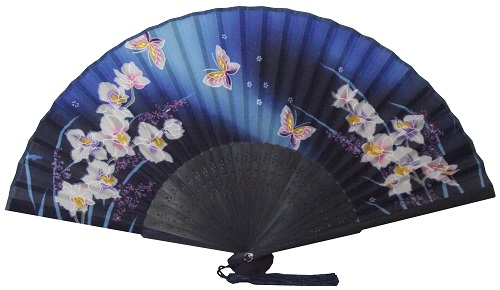 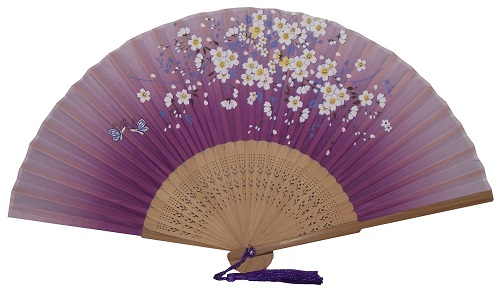 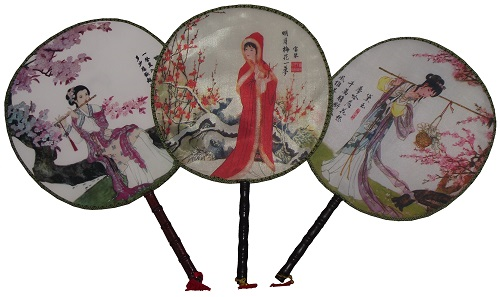 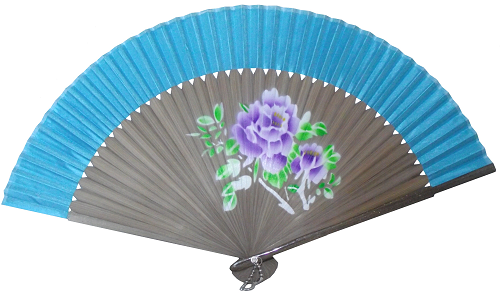 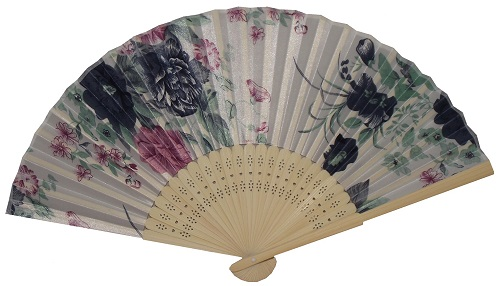 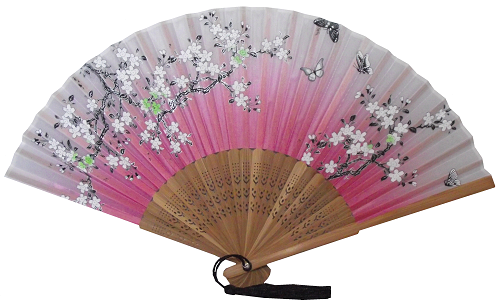 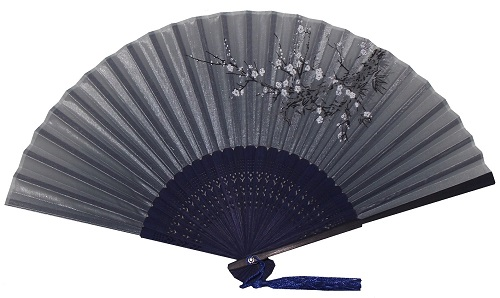 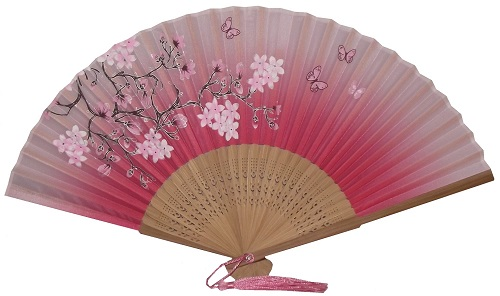 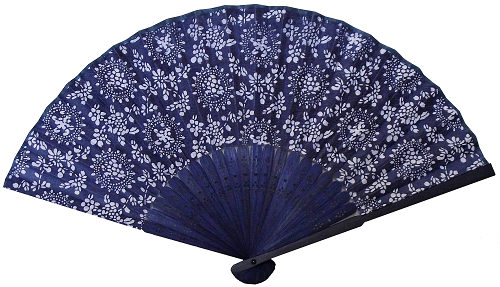 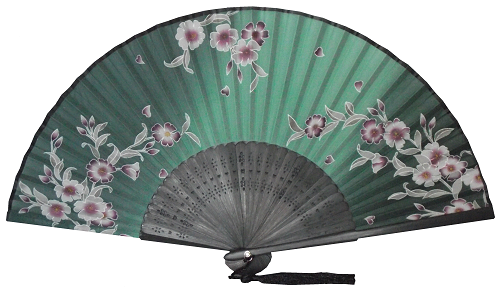 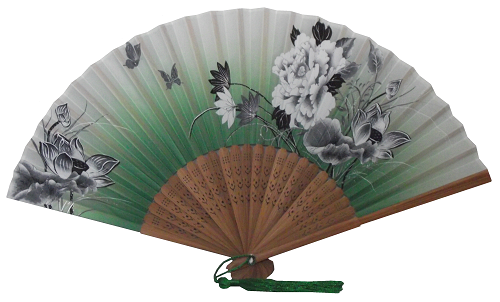 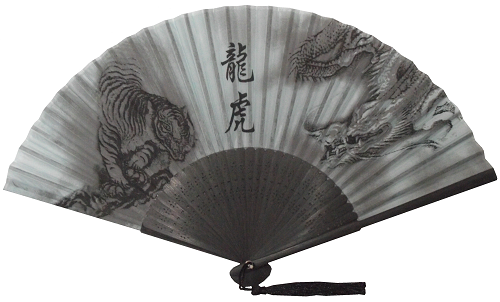 Made with a robust imitation silk fabric, these fans are decorated with butterflies and Chinese plum blossoms. 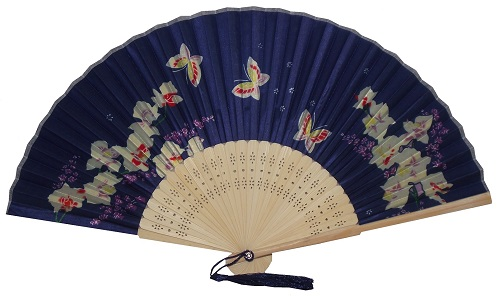 The bamboo fretwork is adorned with attractive oriental patterns. 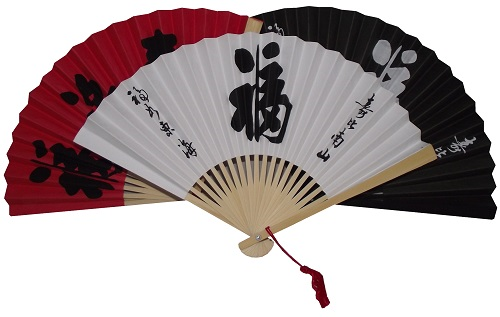 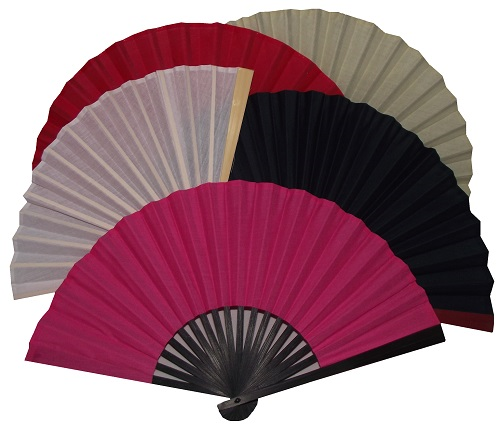 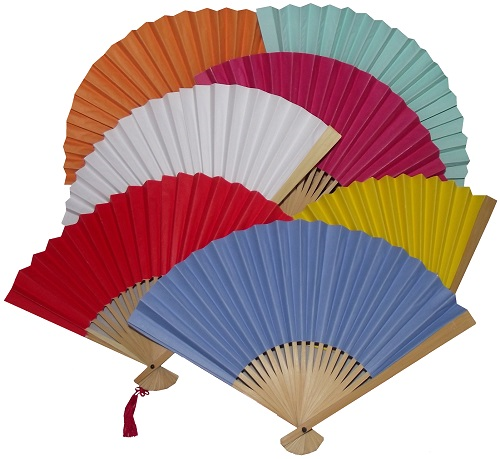 The knotted tassels on this fan come in assorted colours.